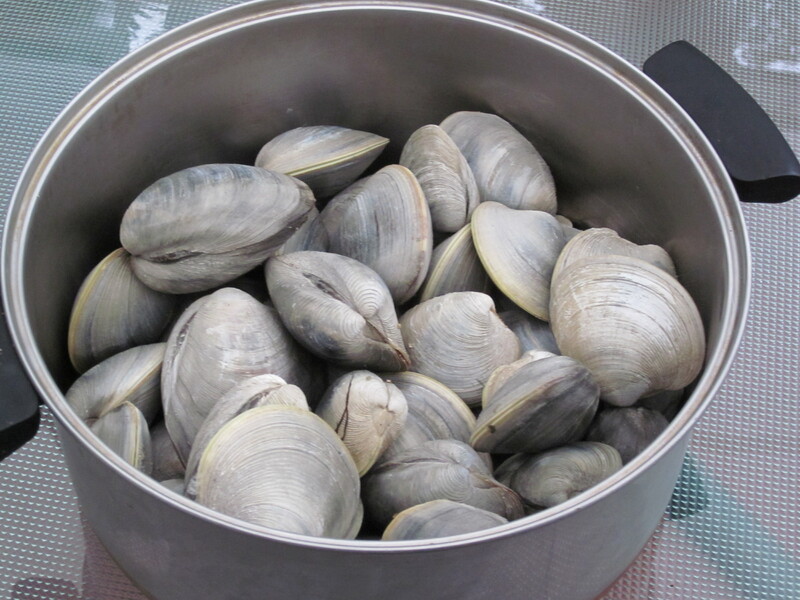 Thanks to the hard work of the very generous owner of the 100-year-old house I rent with my family each summer in Cape Cod, a bucket of freshly dug little neck and cherrystone clams was waiting for us when we returned one day from the beach. 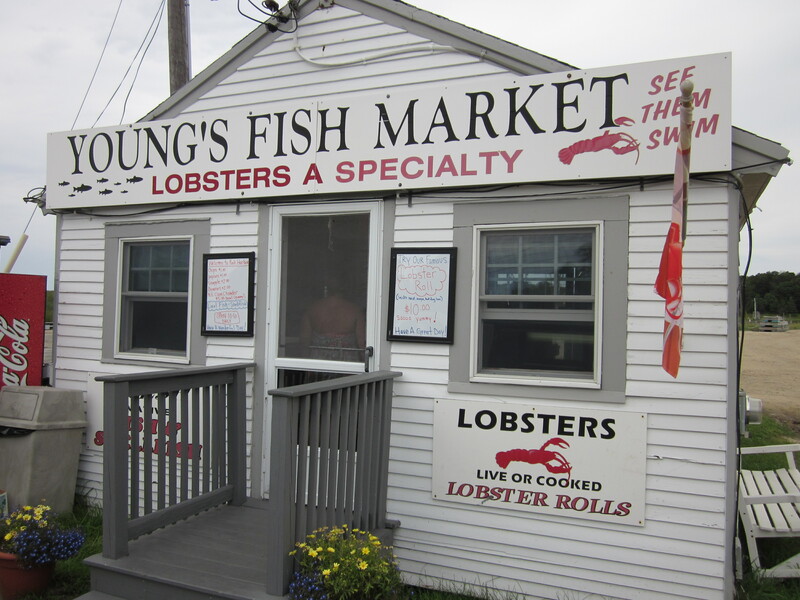 I could make chowdah, New England-style with potatoes, milk, onions and bacon. I could just open them up and eat them raw. I could steam them and dip them in butter and broth. 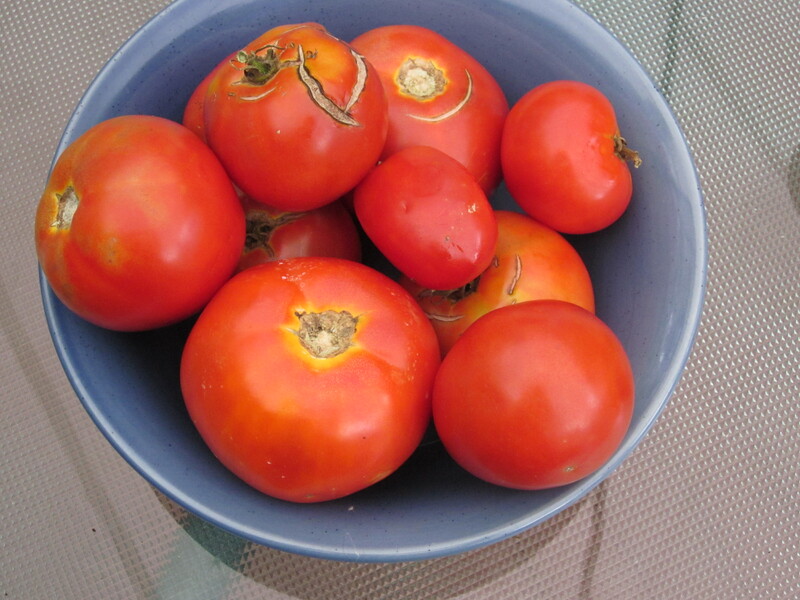 Or, considering I had several ripe, in season, tomatoes that I wanted to use before they became overripe, I could make linguini with clam sauce, Manhattan-style (meaning a tomato-based sauce). Given the option at a restaurant between red or white clam sauce, I always prefer the latter; the hearty red tomato sauce usually obscuring the distinct flavor of the clams. White clam sauce works for me. The garlic, olive oil, white wine, some red pepper flakes, and then the broth from the just opened clams makes for the perfect complement to either spaghetti or linguini. It’s easy to make and really, the only danger to screwing it up is to overcook the clams. 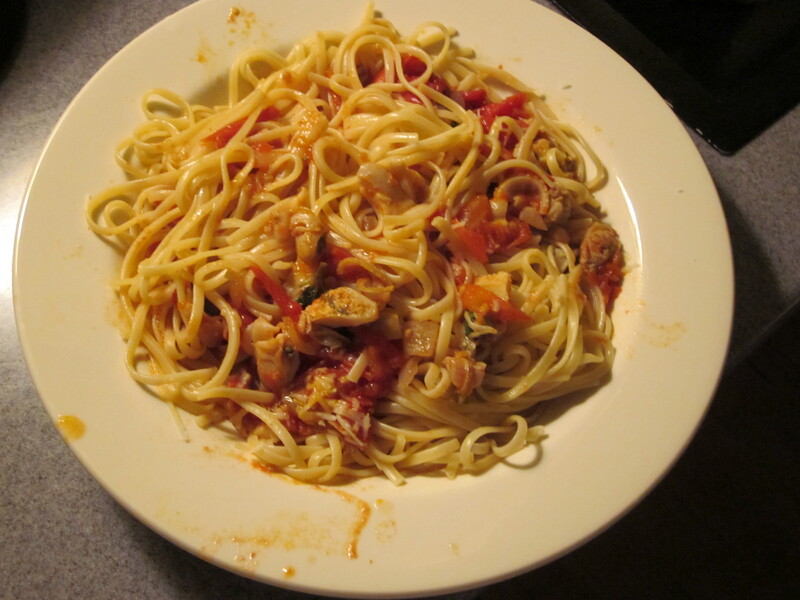 But with those ripe tomatoes and the bucket of clams, I decided to take a chance and combine the two over linguini. 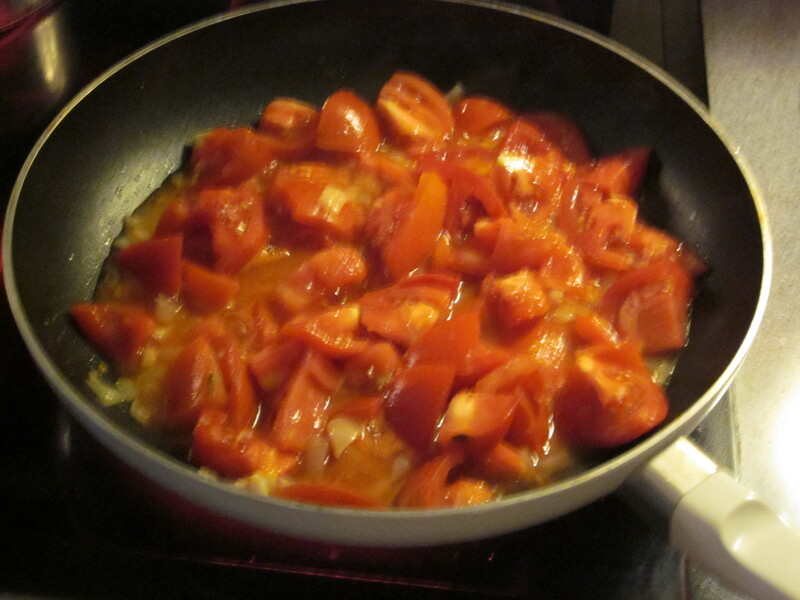 4 overly ripe fresh, large tomatoes, diced. I first diced the tomatoes not bothering with skinning or seeding them and put them in a bowl with a few sprinkles of Kosher salt. While the tomatoes macerated, I rinsed the clams in cold water to remove whatever sand was clinging to them. 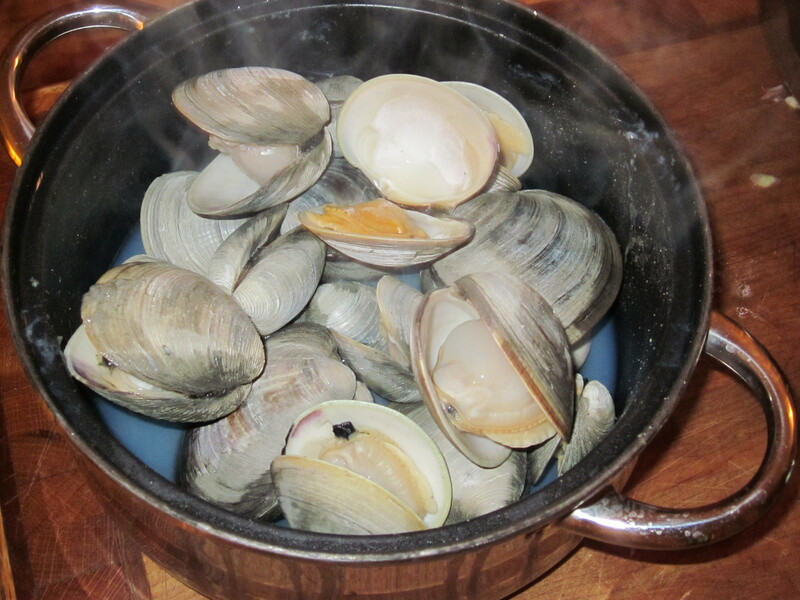 Once cleaned, I put the clams in a big pot adding about an inch of water to steam them. * Covering the pot and turning the fire on high, I steamed the clams just until their shells opened and then put them aside. The clams now steamed open. Using a large skillet, I added the olive oil and softened the onions and garlic sprinkling the red pepper flakes into the pan. When the onions and garlic were cooked, I tossed in the tomatoes adding the broth from the steamed clams and brought it all to a low simmer. 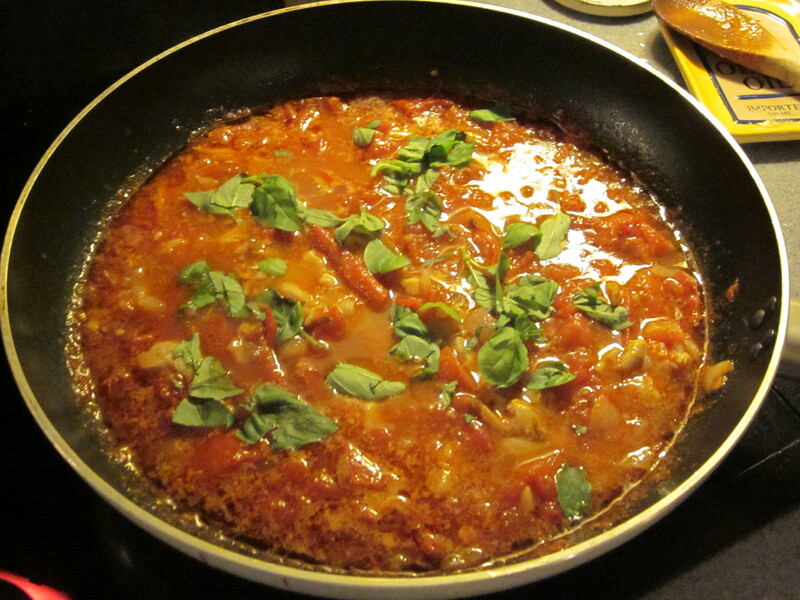 While the tomatoes cooked down, I removed the clams from the shells and roughly chopped them. 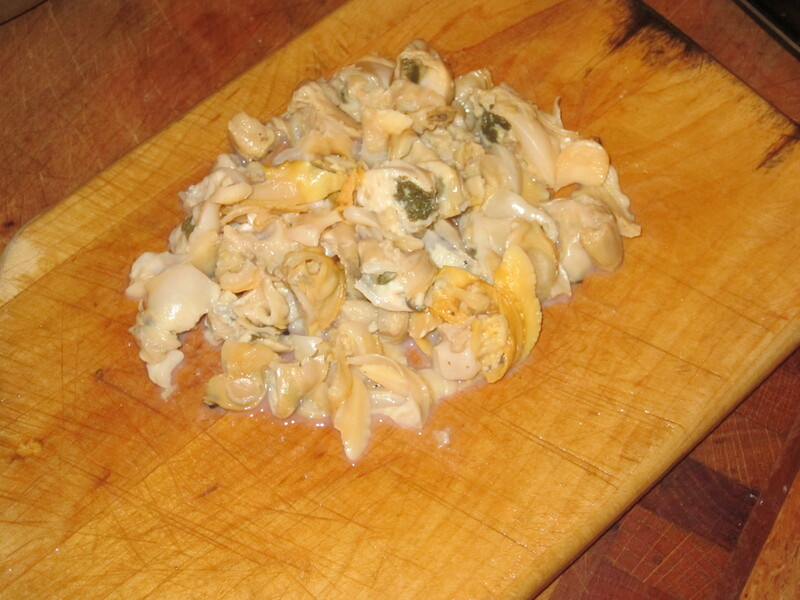 Chopped clams, in my opinion, should not be uniform in size. I like the surprise of a big, juicy belly along with the tougher tail end of the clam. After chopping the clams, I boiled the water for the linguini. Once the water boiled, I tossed in the pasta, adding salt to the water. Just before the linguini was cooked al dente I folded the chopped clams and the chopped basil into the sauce, keeping it on a fire just hot enough to heat them. Using tongs, I tossed the linguini in the sauce and then into bowls. The result was a light, fresh, briny tomato sauce where, in this case, the flavor of the clams and the broth balanced each other perfectly. *Before I began preparing the meal, I had told myself to save about a half dozen of the smallest of the little necks to steam open directly in the sauce. The clams in their shells would not only look nice, but because of their size, also remain tender. But while preparing the above dish, I began to consume multiple glasses of limeade spiked with vodka and when it came time to steam the clams, dumped them all into the pot including the few I was hoping to reserve. Once I realized my mistake, it was too late. The little necks were cooked. After several years now of conducting these eating excursions, most of us in our group understand that it is imperative to always double check on the status of the establishment chosen. And the more obscure it might be, the more diligence required. 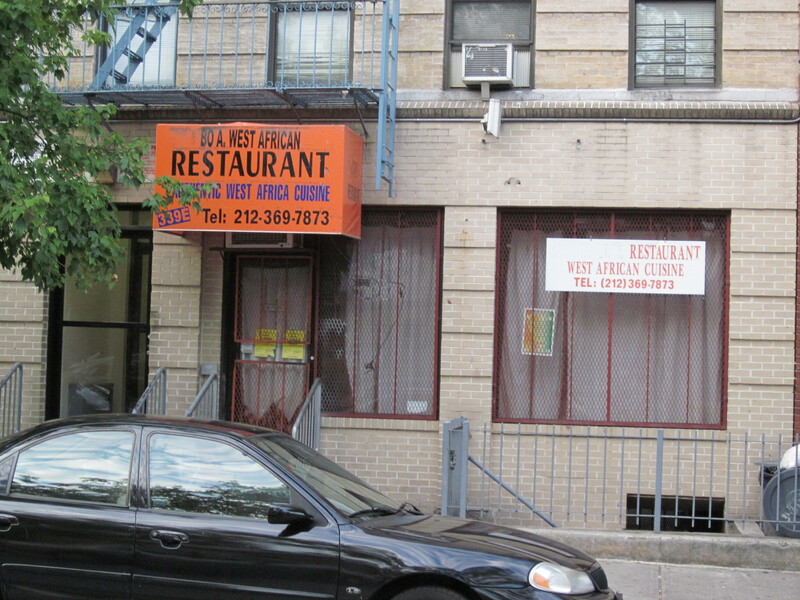 An African restaurant ballyhooed by the Village Voice in, say February, might no longer exist by July. This time it was my turn to choose our destination and always looking out for the oft-neglected food borough, the Bronx; I did my research and came up with the name of a Vietnamese restaurant situated in an unlikely location on a stretch of Jerome Avenue which runs just below the tracks of the elevated number 4 subway line. 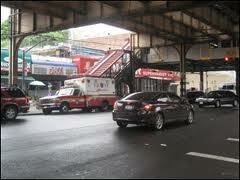 Seeing the restaurant on the corner of Jerome and 193rd St, I realized why the name was changed. There were photos of fried fish, chicken wings, fries and other fast food Chinese items displayed in the window. It was an appeal to the demographics of the neighborhood to offer what was familiar and safe, but, thankfully, the Vietnamese menu was also available. Gerry and Mike from Yonkers had already arrived and seated at a small round table in the stifling, Vietnam-like climate of the restaurant where a ceiling fan and an enormous window air conditioner cooled only those in their immediate vicinity. Gerry had a six-pack of beer in a brown paper bag and, at first, was brusquely told he couldn’t bring it into the restaurant. A moment later one of the proprietors, a woman of color who seemed out of place working in an Asian restaurant, asked Gerry if he “talked to David earlier.” Gerry, understanding that it was I who must have spoken to David, who, we learned, was the person I contacted on the phone making the reservation for “Mr. Brian” nodded and, immediately, was granted permission to bring and drink the beer, as long as it was in a paper cup. Apparently “Mr. Brian” carries some serious influence. Eugene was a late scratch and Zio and Rick were on their way. While we waited, I noticed that most of the cooking in the open kitchen was done by two tiny elderly Vietnamese women. The possibilities of what was to be created in the kitchen by their experienced and no doubt skilled and comforting hands immediately excited me. The anticipation along with the heat combined to form a growing sheen of perspiration around my face and neck. The proprietor, who mentioned she was David’s partner, must have noticed and offered us a table directly in front of the huge, loud air conditioner. Zio, a dreamy, whimsical smile on his face, walked in just as we moved. Before even sitting down, he announced that he grew up in the surrounding Kingsbridge neighborhood. Glancing around the restaurant but not really looking at anything, he began: “My grandfather had a fruit stand a few blocks up. . .there was a diner right over there on the corner. . .my father used to send money to relatives in Italy. . .” and on and on the reminiscing went. It took a jolt from the Vietnamese iced coffee he ordered, sweetened liberally with condensed milk, to revive him from his stupor and begin concentrating on the present business of stuffing his face. As we expected, Rick was lagging behind; this time caught in Yankee Stadium traffic. We knew the scenario and began ordering with the assurance that Rick would be grateful with the scraps from our first course. 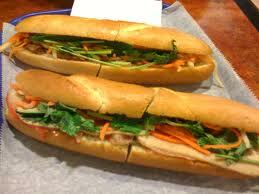 We started with three “banh mi,” Vietnamese sandwiches served in a fresh loaf of French bread. The sandwiches were individual-sized but big enough to share knowing that there would be more. . .much more to come. The three sandwiches arrived looking like they belonged on the cover of Saveur, a glossy food magazine I used to scribble for. The three were banh mi xi mai, a Vietnamese meatball hero smothered in a bright red chili sauce, mi thit heo nuong, stuffed with grilled pork, pate, with sprigs of cilantro and cucumber peeking out, and the phung hung, looking like a traditional hero with cold cuts of ham, ground pork, and pate, but with the added zest of cilantro, chilies and soy sauce. The only complaint about the banh mi came from Zio who lamely claimed he could not negotiate breaking the phung hung version into sharable pieces without obliterating the beautifully prepared sandwich. But it was accomplished and though difficult, we were able to save a few samples for Rick who had just arrived. Though not much deters us from over indulging on our food adventures, that there was nothing over six dollars on the menu made it practically impossible for us to resist what was to be a very public display of gluttony. We circled numbers that corresponded to the items on the menu and I brought it up to the proprietor who made it clear that she wanted me to read off the items by the number not by the Vietnamese name. There was number 25, country style beef cubes sautéed with scallion and onions, number 16, spring rolls with grilled pork and vegetables piled on rice vermicelli, number 30, shrimp with string beans, scallions and onion in a satea sauce, number 10, seafood with rice noodles soup, 35, beef noodle soup Hue style, and number 33, sautéed mixed vegetables. Once she wrote all the numbers down, needing two pages of her small pad to do so, she began barking out the numbers to the two Vietnamese women who immediately got to work. 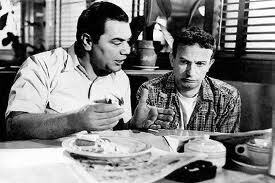 “You know, they filmed Marty around here with Ernest Borgnine,” Zio blurted over the noise of the air conditioner. What do you wanna do tonight? I dunno. What do you wanna do? The screen test ended when the parade of platters began arriving and even with two round tables pushed together, there was barely enough room to hold them all. So impressive was the display that it drew a comment from two diners who had come in after playing basketball at nearby St. James Park, the man shaking his head in awe while his female companion gazed incredulously. “With all that food, I was saying you all must be food critics,” the male basketball player said. I waved his assertion off. “No, being critical about food just gets in the way of our eating,” I replied. 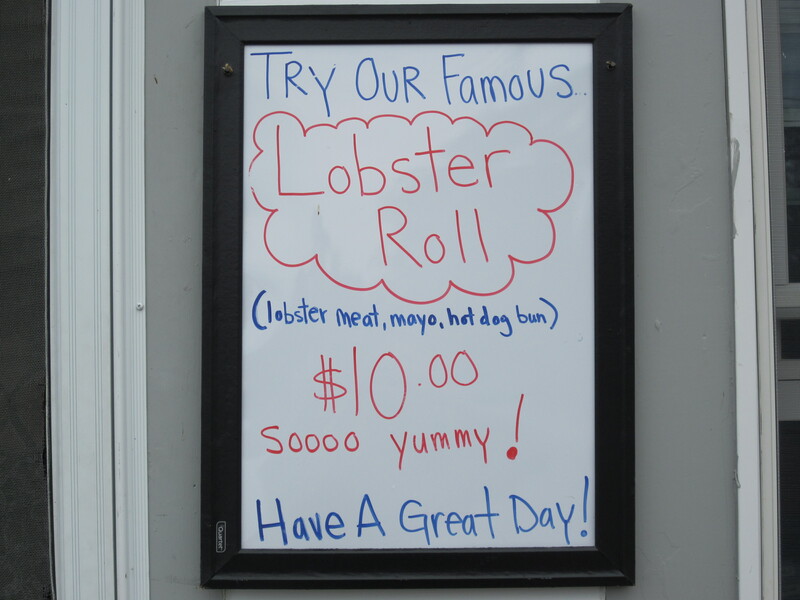 And there wasn’t much to be critical about at World of Taste Seafood Deli. If you wanted to be picky, the sautéed dishes; the vegetables and shrimp were nothing out of the ordinary, but maybe that was because we had become jaded after the remarkable banh mi, the spicy, beef noodle soup, and the seafood with rice noodles. Closing time was 8:30 and the staff was cleaning up while we were still picking through the remains of our feast. As they were leaving with their take out order, the basketball players glanced one last time at the devastation we created on our combined two tables and shook their heads in awe. 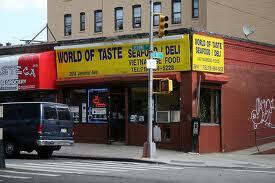 It hadn’t gotten any cooler once we vacated the World of Taste Seafood. Zio got that gaze on his face again and pointed to the train tracks above us. “Martin Sheen and Tony Musante—you know the movie. 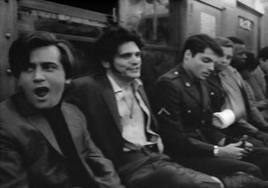 . .**“ But before Zio could finish telling us about the movie, the uptown number 4 train rumbling above us cut him off. Sheen and Musante frolicking on the subway in the Bronx. *World of Taste Seafood Deli sadly closed in 2009. 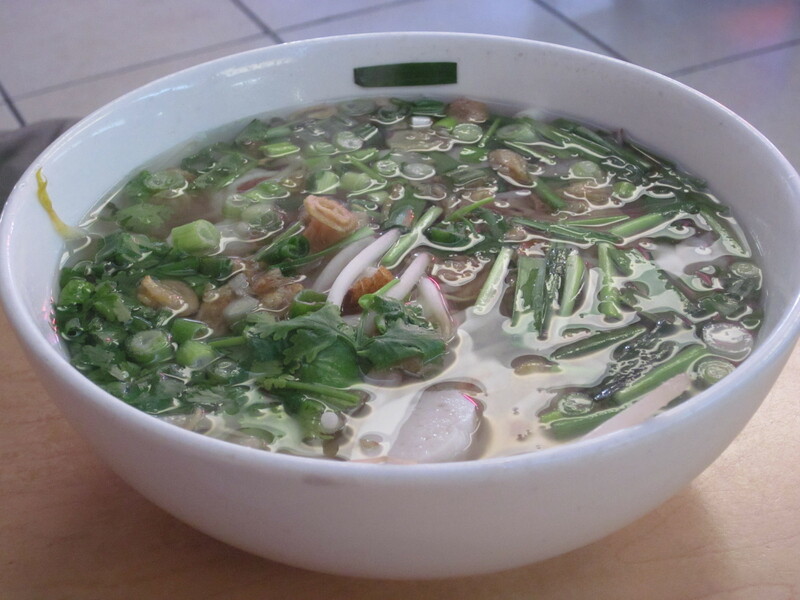 Soon after, Pho Mien Tay, another Vietnamese restaurant opened in the same spot, but was short-lived followed by Pho Saigon #1, which also did not last. Across the street is another Vietnamese restaurant, called Com Tam Ninh Kieu that has survived the turmoil at 2614 Jerome Avenue that specializes in Pho but without its quirky charms or the magnificent banh mi. 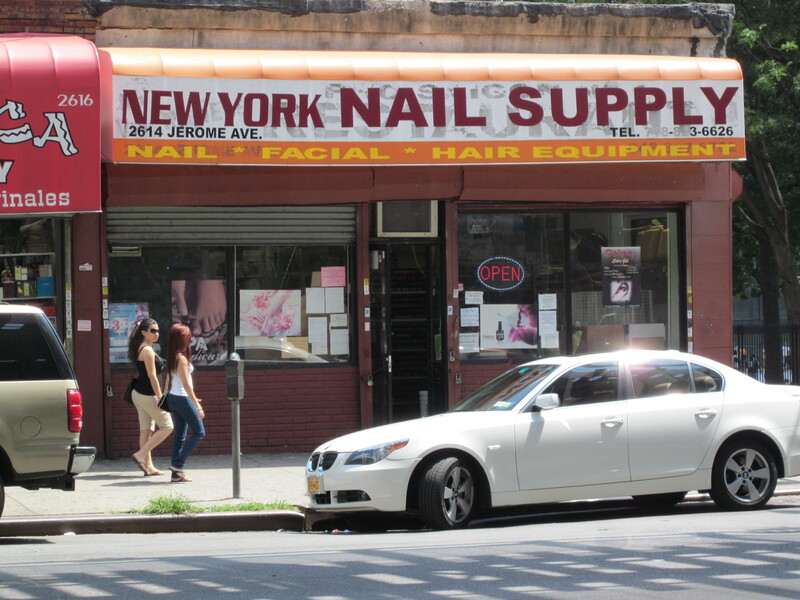 Now, at 2614 Jerome there is a nail supply store with signs in Vietnamese. **The title of the movie Zio was reminiscing about can be found in the title of this post. Fried whiting and fries: $6. Hallelujah! The path to Treichville was a circuitous one. Originally Rick’s pick and scheduled a month earlier, Rick chose the much anticipated Rudar Social Club in Astoria, but the date coincided with the closing of his newly acquired money pit in Atlantic Highlands. At first Rick did not think this would be a conflict; that the closing would be over before our dinner and it was, but seriously challenging his loyalty to his brothers in gluttony, he decided instead to take his lawyer out for a drink. That, coupled with Zio being stricken with a stomach virus so potent that just the thought of Croatian cuisine made him retch, led to us cancelling at the last minute. 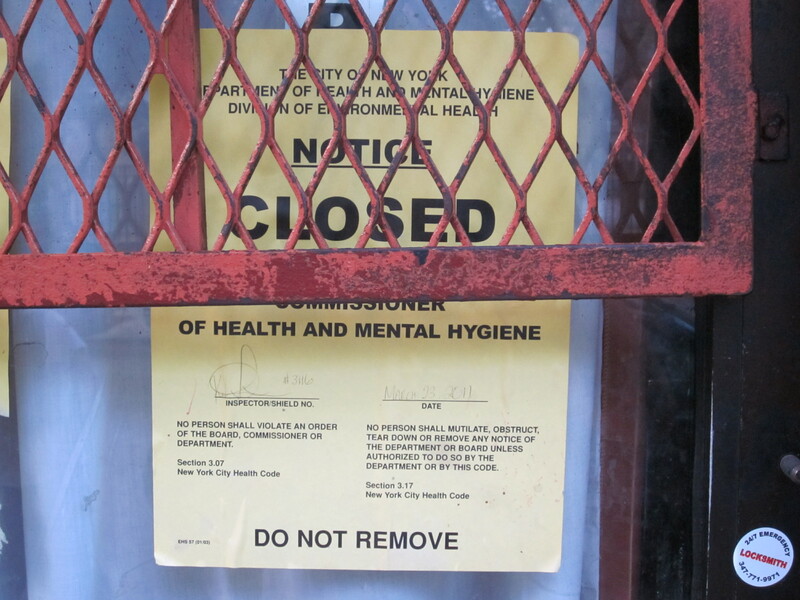 It took a month to reschedule and again, the Rudar Social Club was Rick’s choice, but this time thoughtfully, giving us a week’s notice, cancelled. This time, instead of rescheduling, we shifted the choice to Mike from Yonkers, who was next in line. The short notice sent him into a minor panic and he quickly decided on African place in Fort Greene, Brooklyn. The problem, Eugene immediately pointed out via email, was that the place had closed several months earlier. After a few days, a replacement was chosen, a soul food joint in the heart of the trendy East Village, but after deliberating with an anonymous member of our group, Mike from Yonkers determined that the soul joint didn’t fit our criteria. For some reason, and after several years with our group, Mike was still struggling to comprehend our guidelines, loose as they are. But with a little counseling, again from the same anonymous source, he finally came up with another Treichville. 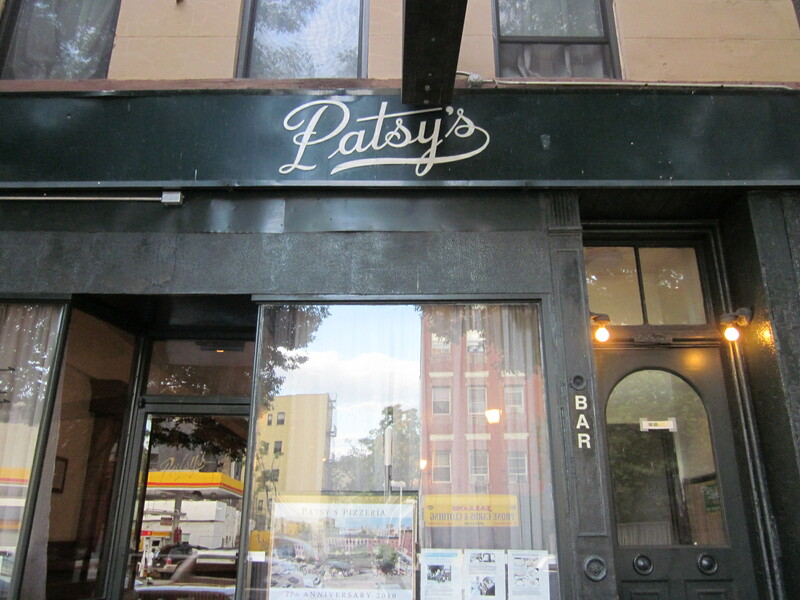 The Treichville we were visiting was not the one in the heart of Cote d’Ivoire, but in East Harlem, just a few steps from legendary Patsy’s Pizzeria. From the outside on a block on east 118th Street, Treichville looked more like a car service operation than a restaurant. 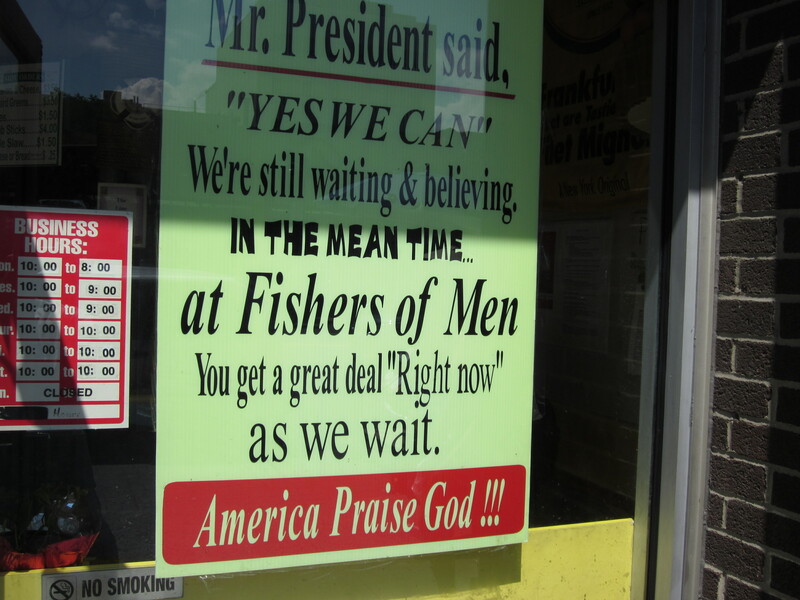 The only hint was the subtle sign above the door with the restaurant’s name and the proclamation of African cuisine. The windows were barred and a neon sign behind them flashed “Open 24 Hours.” I arrived early and hungry and Patsy’s was a serious temptation, but I thought it best to display some willpower. Soon the others arrived and we piled into the tight, low-ceilinged quarters where we were the only diners. 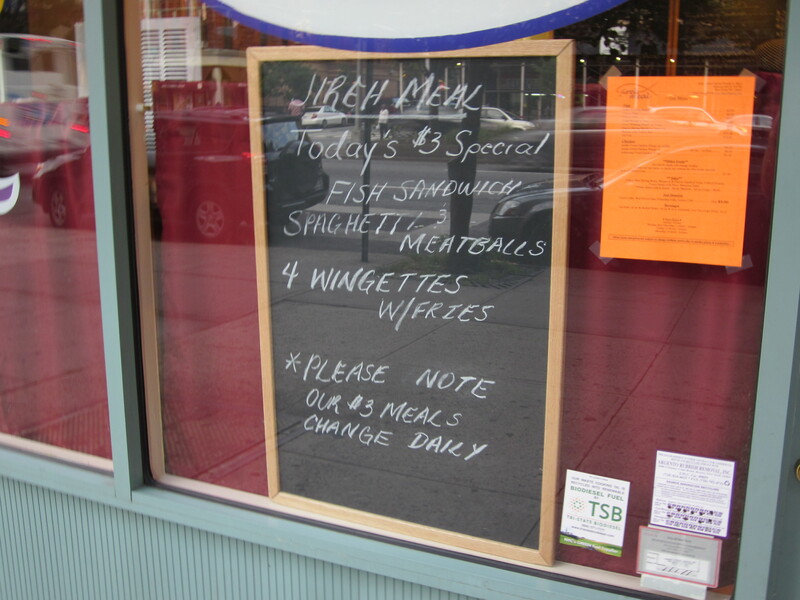 The specialty here was West African, specifically the Ivory Coast, and the menu printed in both English and French. Drinks were the usual, ginger beer or sorrel, both homemade and satisfying. But it was the soups on the menu that interested us the most, particularly the pepe (pepper) soup; a combination of crab, cow feet, lamb, and tripe. The host/waiter announced that the pepe was not quite ready yet, but after nudging him wavered and said he would bring out soups for all. While he was at it, we asked for a sampling of Treichville’s specialties—kind of the poor man’s version of a “chef’s tasting menu.” He gladly obliged. The five of us were first served huge bowls of soup with Eugene, Mike from Yonkers, and Gerry getting the pepe while Zio and I were given chicken soup. Noticing immediately that Zio and I were slighted, our host brought out two more bowls of the pepe. I took a few spoonfuls of the chicken soup, which was more like a stew, enough to gush appreciatively over it and then offered it to the others for tastings while I sampled the pepe, which was not quite what was described in the menu—there was no meat, just fish, crab, mussels, and shrimp—more like a bouillabaisse with the sub-tropical addition of a whole, scotch bonnet chili pepper which Eugene ate inducing a bout of spasmodic hiccupping. Following Eugene’s lead and not knowing the pepper was a spicy garnish and not for eating, Mike from Yonker’s ate his and soon a fine sheen of sweat had formed on his forehead. Meanwhile, despite my warnings to Zio to just taste both of the soups and not try to finish them all, I noticed the bones of the chicken from his soup picked clean and lined up neatly against the side of his now empty bowl and that he was busy extracting a piece of meat from a slender crab claw that was in his fish soup. When I warned him again, he threw up his hands defiantly. “What do you want me to do? I can’t just leave it!” he said. Once the soup was cleared, we were all given salads with homemade vinaigrette which helped take down the heat from the soups. Following the salad, two platters of whole fish appeared; one, according to our host was grilled, the other fried, though I could tell no difference. Both were doused in a room temperature onion/mustard sauce and served with a mashed-like condiment of cassava and plantain called foutou. The procession continued with a platter of lamb shank, beef, and grilled chicken, all covered with the same onion/mustard concoction. With the addition of platters each of couscous, cassava, and white rice, our combined tables were overflowing. The fish, whether grilled or fried, was perfectly moist and tender while the lamb shank, more than enough even for our colossal appetites. The beef and chicken were both fine, but really just pure excess at this point and after a few bites of the fish, I heard Zio groan repeatedly. “I can’t,” he stammered, “No more.” And so, for the first time in our long history of dinners together, Zio was done. He was not alone. We were all pretty much done—the Treichville “chef’s tasting menu” just too much for us. So finally, with Treichville, despite the roundabout way he got to it, Mike from Yonkers nailed the concept of our group and deserved the accolades we heaped upon him at dinner’s end. *Hoping to return to Treichville a few months ago, I came across thie signs, in duplicate, plastered underneath Treichville’s security gate and on its door. 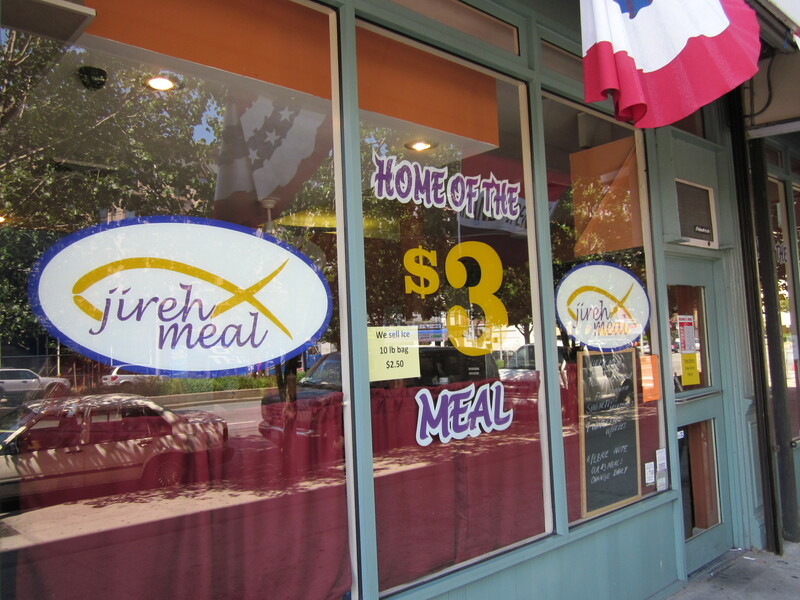 Grand opening of Jireh Meal: Home of the $3 meal on Adam Clayton Powell Blvd., between 123rd and 122nd Streets. Sponsored by the Jireh Meal Ministry: http://www.thejirehmeal.org. It had been almost three months since we last convened and in the midst of deadlines, I never reported on the dinner. The place was called Minni’s Shabu Shabu (www.minisshabushabu.com) in Flushing, Queens and though my memory of that night has blurred somewhat over the past few months, I do remember that it was very cold and the steaming hot pots offered at Minni’s were a relief. Eugene, going on the advice of a friend, had chosen the brightly lit restaurant where each table had a built-in hot pot filled with broth. There were on/off switches with a temperature control and each of us was given a platter of raw vegetables, two uncooked eggs, some starchy provisions we could not immediately identify, and rice noodles. 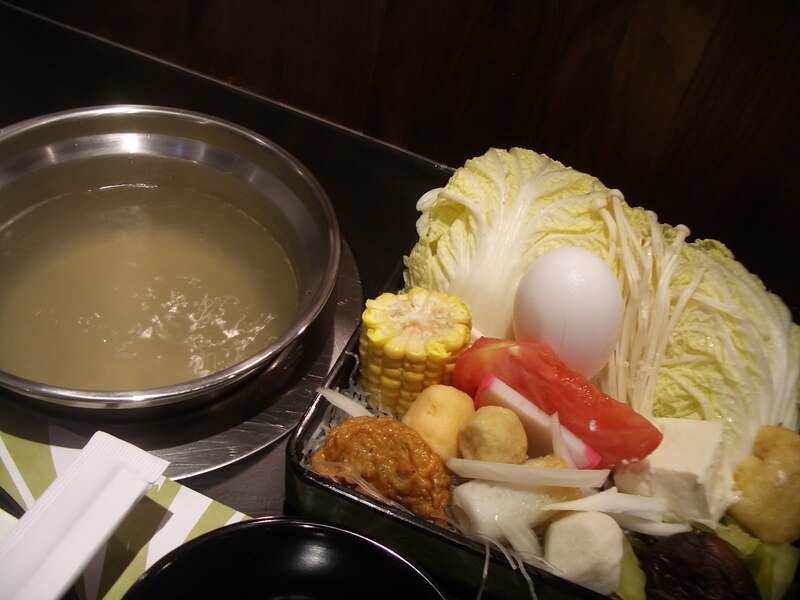 Apparently, it was up to us to cook the food, but the combination of technical savvy and culinary knowledge of what goes into a shabu shabu (the meal created with the hot pots) was complicated and looking to Eugene, who supposedly researched the place, for any advice was futile. The waiter who was busy buzzing between tables in the crowded restaurant quickly helped us get started; we had to order a meat or fish to be cooked in the broth along with the accompanying vegetables and noodles. The offerings were plentiful—lamb, pork, beef, clams, lobster, squid, tripe; all of it making it even more confusing. I kept it simple by ordering beef, but the waiter mistakenly thought I wanted the tripe and beef so along with thinly sliced raw round steak, I had a honeycomb of tripe as well which I quickly donated to Zio’s already enormous platter of uncooked shellfish and vegetables. After dousing the beef into the boiling broth, the red meat immediately turned a sallow gray and tasted as lifeless as it looked. Maybe adding a few of the vegetables would help? I threw some cabbage and the eggs in the broth and then wandered to a buffet where a variety of sauces were available; hot chili sauce, soy, sweet barbecue, a green, coriander sauce, red tofu and countless others. Without any guidance, I began adding a little of all of them. The result was more flavor, but minus any distinction. All of us were pretty much clueless on the art of making shabu shabu with the notable exception of Mike from Yonkers who was deliberately adding ingredients; slowly layering his soup with flavors. Whether it was an act or something he was a natural at, we will never know, but he certainly looked good doing it. So, though most of my broth had evaporated and the ingredients already devoured, I mimicked Mike from Yonkers’ technique, and, surprisingly, the last remnants of the soup was now a hearty, flavorful meal. 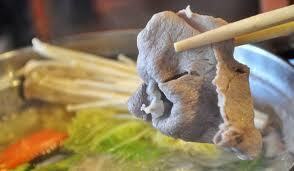 Next time I visit a shabu shabu place, I’ll be better prepared though, in all honesty, that next time won’t be soon. 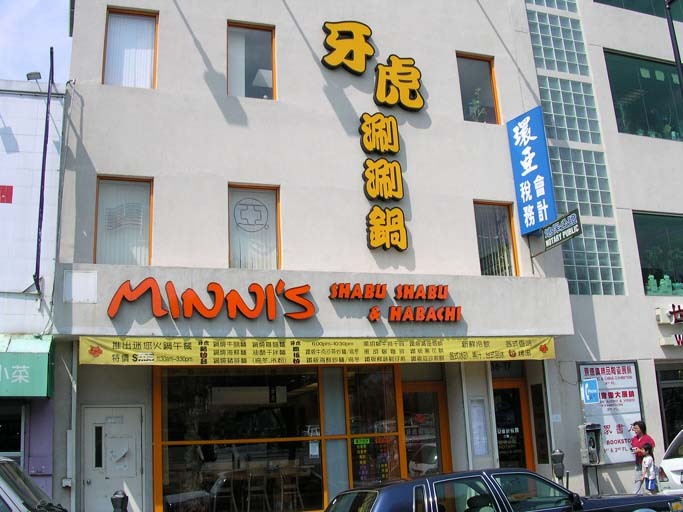 We last visited Minni’s in Flushing in 2008. It still goes strong and now, I believe, deserves a return trip.